Lauren Razavi is an award-winning writer and strategist, and co-founder of a digital communications consultancy called Flibl. Her work focuses on technology, innovation, sustainability, global development and the future. 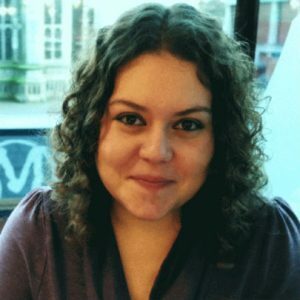 Lauren has a BA in politics and international relations, and an MA in creative nonfiction from the University of East Anglia. After finishing her studies, she was headhunted by Google to work as an editor, and spent the next few years travelling to more than 30 countries and reporting for magazines, newspapers and websites alongside her day job. Today, she works with a mix of media titles and major brands including the Guardian, Wired, VICE, Emirates, Medium and Royal Bank of Canada. In 2016, she was named Young Freelancer of the Year prize at the IPSE Awards, and was shortlisted for the Young Travel Writer of the Year prize at the Travel Media Awards and the Entrepreneur prize at the DevelopHER Technology Awards.